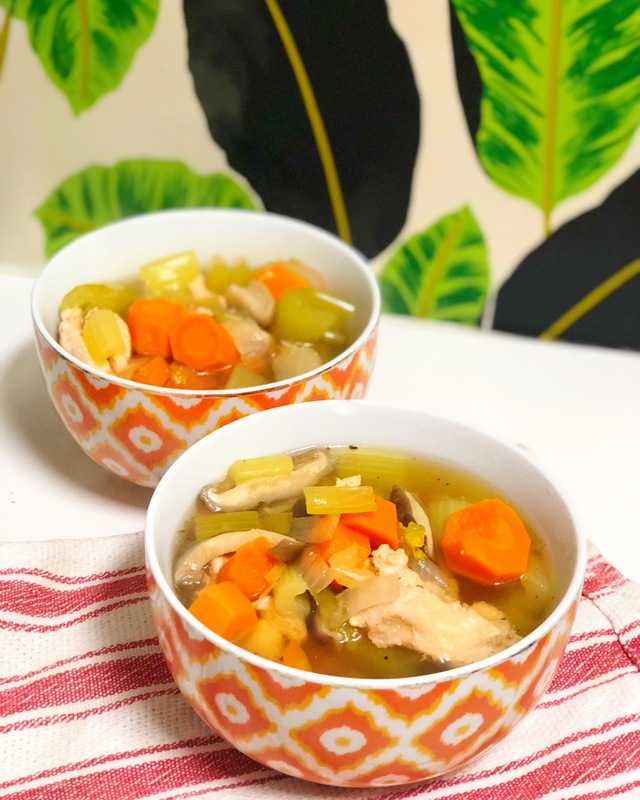 We love our new Instant Pot, so to kick off our new relationship I made this delicious chicken veggie soup. What I love about chicken veggie soup is that it’s TOTALLY versatile. You can add whatever you want, change the flavor, whatever feels good. Chicken soup also contains MANY positive nutrients. For example, chicken broth contains collagen – good for your skin, a source of protein, and soothing for your immune system. PLUS all the veggies in there as well- loaded with nutrients, fiber, protein. If you want to be REALLY creative, add some noodles, and avocado – for a more hearty meal. Any extra herbs and spices you want to add, also great! 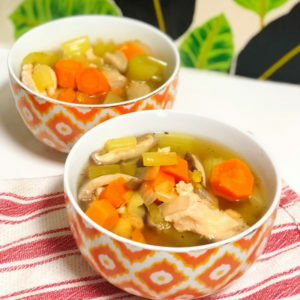 We love chicken vegetable soup, especially when it's easy to make in our pressure cooker (Instant Pot!). This recipe is gluten free, grain free, dairy free and really yummy. Prepare all of the ingredients and turn your Instant pot to sauté (high). Add the avocado oil to the instant pot and allow the oil to heat- about 1-2 minutes. Next add the onion and sauté- stirring about every 2-3 minutes until they are golden-brown (about 3-4 minutes). Add the chicken and sauté for 7-10 minutes or until slightly cooked, stirring every few minutes; turn the sauté function off (press cancel). Close the lid and using the manual high pressure cooking function, turn the pressure cooking function to high and set the function to 25 minutes. Carefully, release the pressure and open the top and ensure it's cooked to your liking (it should be).